Driver Flees the Scene After Deadly Crash at Intersection in Jupiter | Schuler, Halvorson, Weisser, Zoeller & Overbeck P.A. 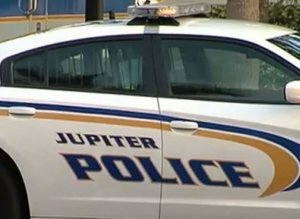 The driver of a 2003 Honda Accord fled the scene after a deadly crash at the intersection of U.S. Highway-1 with East Indiantown Road, Jupiter, police report. Emergency services arrived at the scene of a crash which occurred on U.S. Highway-1 in Jupiter. The driver allegedly fled the scene of the crash that sent three people to the hospital. Authorities identified the driver as a 22-year-old college student. Police said a silver Honda Accord traveled southbound along U.S. Highway-1 at a very high speed when he ran a red light at the Indiantown Road intersection, colliding with a white Ford sedan in the process. Subsequently, the impact sent the Ford into the path of a Toyota SUV; then the SUV t-boned the Ford on the driver’s side. According to eyewitness accounts, the driver of the 2003 Honda Accord sustained minor injuries in the crash. He fled shortly afterward, leaving his wrecked car behind. Upon arrival, emergency services discovered the Ford driver in critical condition. He was found with multiple fractures including a broken neck; paramedics transferred the injured driver into an ambulance in a fragile state. A front-seat passenger in the Ford also sustained serious injuries in the crash and paramedics rushed the passenger to the hospital via ambulance. The driver of the Toyota SUV suffered minor injuries. Meanwhile, authorities said they apprehended the driver of the 2003 Honda Accord at his residence a couple of hours after the crash. He is presently in police custody, although authorities have yet to file charges. Emergency first responders spent three hours clearing the wreckage after the crash.